Creative Imaginator- Best Web Development Company in Delhi specializes in effective designing, branding and developing standard websites that are compatible with all the devices. We are servicing in this field since 2014.We have expertise that can develop website as per your expectations. 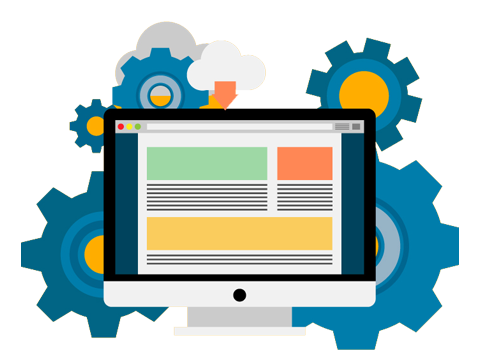 We develop website with user friendly interface, smooth navigation, mobile optimized, animations and functional areas with cross browsing in different devices. We work for customer satisfaction and offer development services including content writing at affordable cost. Our team of expertise handles operation using different interface like PHP, HTML, Prestashop, Drupal, Majento, Joomla etc. We use this powerful interface for cms sites. We work on both types of websites, Static and dynamic websites. A static website contains web pages with fixed content. Each page is coded in HTML and displays the same information to every visitor. It is basic type of website and easy to use and dynamic website contains information that can be change anytime depending on the viewer. Dynamic websites is used mainly for business, Ecommerce purpose or wide services.